Anna Scaglione received the Laurea (M.Sc. degree) in 1995 and the Ph.D. degree in 1999 from the University of Rome, "La Sapienza." She is currently Professor in Electrical and Computer Engineering at University of California at Davis, where she joined in 2008. She was previously at Cornell University, Ithaca, NY, from 2001 where became Associate Professor in 2006; prior to joining Cornell she was Assistant Professor in the year 2000-2001, at the University of New Mexico. Prof. Scaglione is a Fellow of the IEEE as of 2011. She served in Editorial Board of the IEEE Transactions on Wireless Communications from 2002 to 2005, and of IEEE Transactions on Signal Processing from 2008-2011, where she was Area Editor in 2010-2011. She has also served in several IEEE conferences and special issues. She has been in the Signal Processing for Communication Committee from 2004 to 2009, and she currently serves in the Steering committee for the Smartgridcomm conference in the Communication Society. She was general chair of the workshop SPAWC 2005 and keynote speaker in SPAWC 2008 and ISPLC 2009. 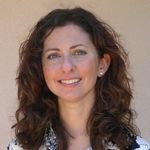 Dr. Scaglione is the first author of the paper that received the 2000 IEEE Signal Processing Transactions Best Paper Award; she has also received the NSF Career Award in 2002 and she is co-recipient of the Ellersick Best Paper Award (MILCOM 2005). Her expertise is in the broad area of signal processing for communication systems and networks. Her current research focuses on RF communications, cooperative wireless networks and sensors' systems for monitoring and control applications and energy management, and signal processing for network science.